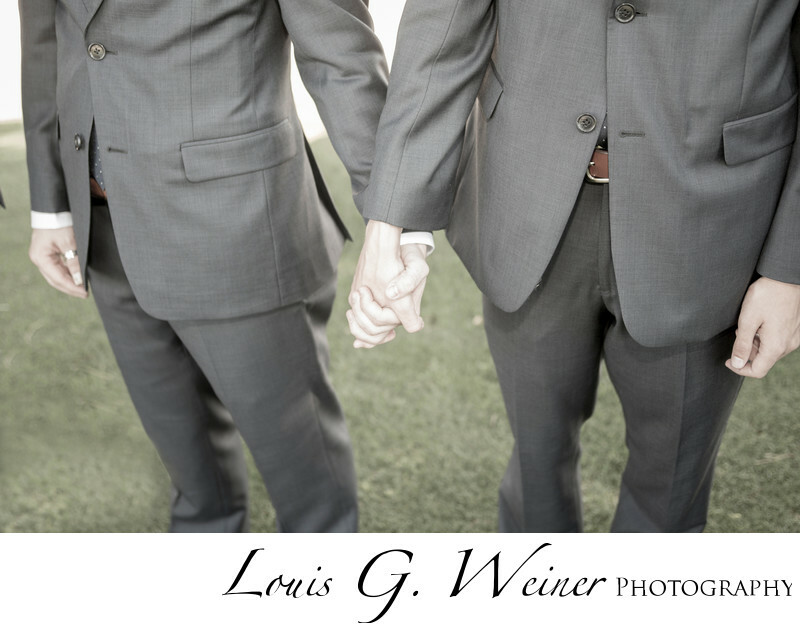 LGTBQ wedding at the beautiful Renaissance Palm Springs Hotel. This resort is wonderful for a wedding or event, the wedding pavilion is away from the hotel on the golf course. It is a big beautiful location with lots of room for very large parties. The course and surrounding area are wonderful for photographs. The wedding service outdoor location is close to the reception area and overlooks the green and trees of the course. If you get married at sunset it will be a colorful background for the service. I highly recommend this venue for desert weddings. Location: Renaissance Palm Springs Hotel, 888 E. Tahquitz Canyon Way, Palm Springs, Ca 92262 .